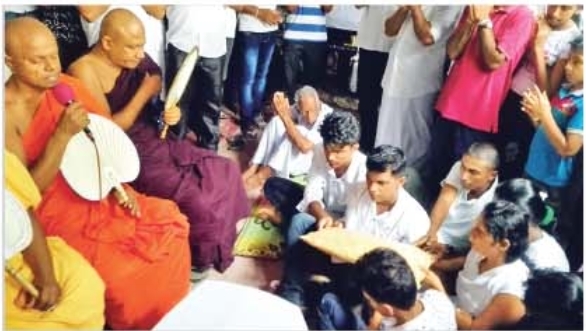 The final rites of Rasindu Gimhan was held yesterday amidst thousands of mourners and he was buried at the family burial grounds of Thihagoda. Rasindu was an A/L student who unfortunately had to give his life to an instance of stabbing by an indisciplined student. that job and Rasindu was someone who tried to lift his head through difficulties. "Only a few years that mother and father have to toil in the dust. I'll get through my A/L. Definitely I'll become a doctor and see that you'll get over the difficulties. Can put a full stop to the ice mill job ... going at dawn ... trembling in the cold. I know how much father toiled to make us live during our difficult times. What to do ... even if father suffers like that for a short time ... I'll become a doctor and pull our whole family from the rut", the mother echoed his son's words in utter sorrow, unable to bear her son's departure. 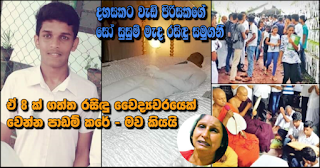 Rasindu who died as a result of a clash near a tuition class down Alawella Road, Matara last 24th was to appear for the next year advanced level exam from the Science stream at Matara St. Thomas Boys School. 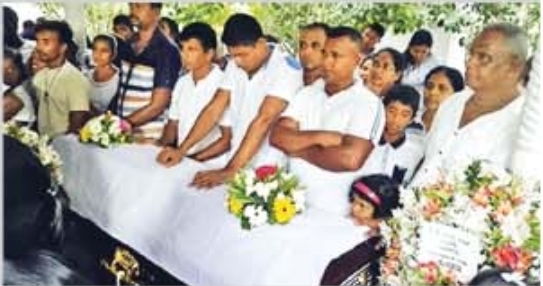 Because of the killing of student Rasindu Gimhana, the entire hamlet of Thihagoda Bandaththara was soaked in tears. 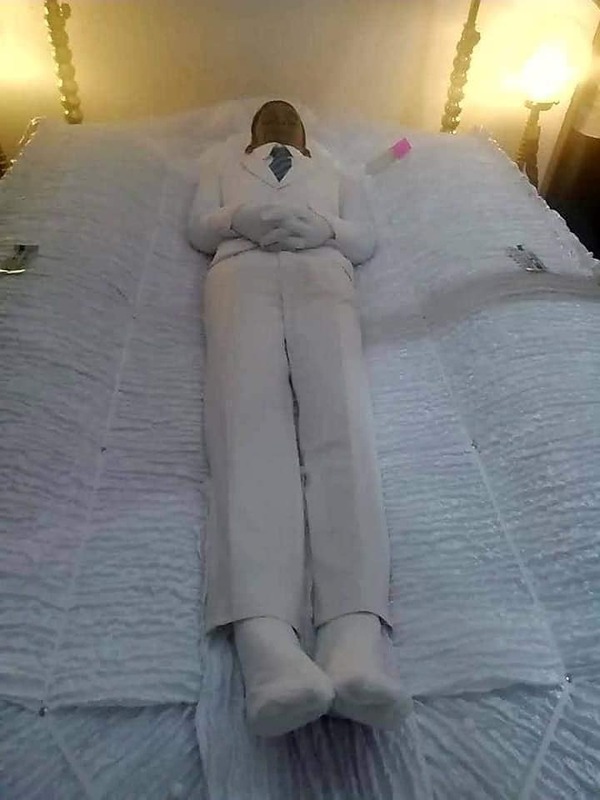 Over a thousand schoolboys and schoolgirls had rocked at his final rites. 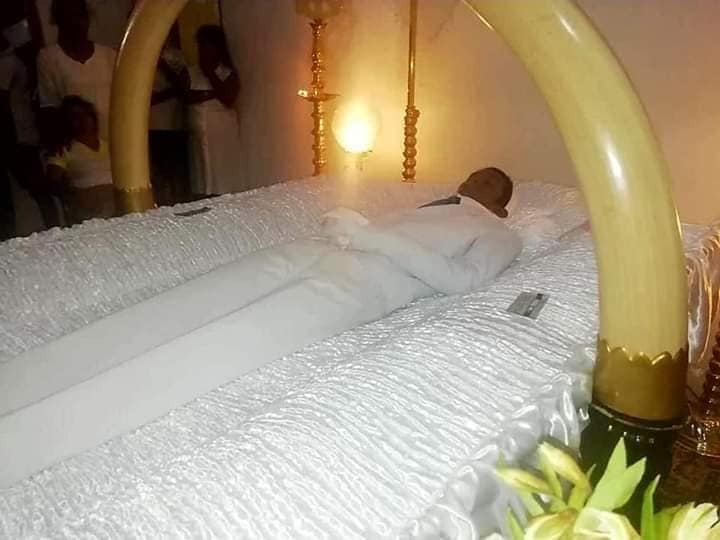 Rasindu Gimhana was the second of a family of four children with two boys and he was an exemplary character of a father to both his elder brother and younger brother as well, it is understood. It is pathetic that this clash was not an issue which was relevant to him and this was a tragedy which befell him for having gone to mediate on behalf of his brother. Rasindu in fact has made an effort to settle the conflict with Sithija Saundarya, the main suspect in this conflict who was living in Witiyala, by talking over this matter. But Rasindu has realised that he was someone with whom a problem could not be settled and was engaged in a continuous fight. Rasindu's elder brother is Navidu Nadushan (21) and he is attached to Diyatalawa Army Camp for over an year. His next promotion was to be held in January next year and Rasindu was so eager to attend that moment of his brother, it is said. Rasindu's younger brother is in his 16th year and is expected to sit for his O/Ls this year. The main suspect of Rasindu Gimhana's murder, Sithija has got into a conflict with Rasindu's younger brother because his school girl friend was reprimanded. What Nishadu says is that Sithija's school lover had scolded him and that in response to that he also had scolded her back and Sithija was told about this and as a result Sithija had hit him. However, what Nishadu Kaviska's friends say is that this conflict has happened because he had tried to get friendly with her. All in all, anyway what has to happen has happened by now. All three connected to this incident are now in custody and it is of special interest to note that all of them are still in their seventeens. This incident is warrants a serious discussion regarding children of such a tender age trying to solve their problems by using murder as their weapon.